systems is due at the end of the year. At the start of the last decade European legislation established the phasing out of hydrochlorofluorocarbons (HCFCs) which were found to contribute to climate change through ozone layer depletion. HCFCs (most notably a compound known as “R22”) are used as refrigerants in industrial and commercial refrigeration and air conditioning equipment. On 1 January 2010 the initial ban on the use of new HCFCs took effect, and at the start of next year a total ban on R22 will kick in. Business owners operating air conditioning and refrigeration equipment need to take action to ensure their compliance before 1 January 2015. If your business operates several air conditioning systems then you have the option to create a migration plan until end of December 2014. You can plan to retrofit your HCFC/R22 AC systems while using recycled R22 gas to maintain your other equipment. At the end of 2014 it will no longer be possible to maintain HCFC/R22 systems and compensate for their refrigerant losses! So your plan must be carefully considered and action should be undertaken right away. 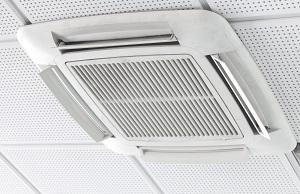 How much will new air conditioning regulations cost your business? The cost to individual businesses will vary widely depending on the size, age and configuration of their systems. Older air conditioning systems will probably not accept a non-HCFC replacement refrigerant and will need to be completely replaced. This will be more costly than for recent systems, where a retrofit solution can sometimes be implemented, without having to replace the entire system.